Why are Messaging Apps Selling Stickers? Why is every messaging app under the sun trying to sell stickers to you? This week I rather playfully poked fun at Viber’s introduction of paid-for stickers. That’s because the concept of adding sticker shops has become an industry standard, after the likes of MessageMe, Kik,WeChat, Line, Path, Kakao Talk, Cubie, Maaii, and now Viber, introduced them. It’s becoming a real cliche. Messaging app builds sizable user base by offering a free alternative to SMS. Raises funding to sustain its business. Expands to a range of platforms. Needs to generate some/additional revenue. Opens a sticker shop. 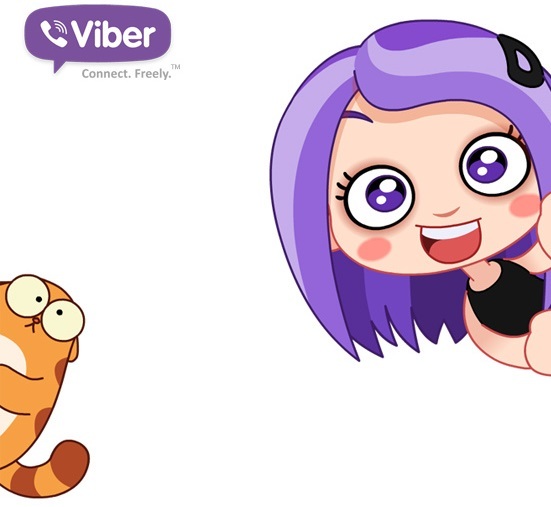 A number of people were quite unsure as to why Viber would look to monetize its service (and bear in mind this is its first effort at generating revenue independently) in this way. I previously addressed some of the business benefits to selling stickers when I looked at the history and rise of the culture of stickers — btw: you should give that a read if this all seems foreign to you — but it’s worth exploring exactly why so many messaging firms are going down this route. This is the argument that you’re likely to hear from messaging app makers, which believe that a wide variety of stickers enables users to communicate in a more expressive way. Certainly, this is how stickers took off. In Asia, where I am based, for example, it is common to communicate with images and most conversations use stickers as part of the dialogue. The fact that Facebook and Path have embraced them too suggests that they are also taking off in other parts of the world. Or, at least, that adoption and usage is growing as stickers become more visible on more messaging services. Less clear is whether they are used in the same way the world over. Business models are about making money — of course — and in that respect stickers can deliver. Packs are typically priced upwards of $1 for a dozen; that’s a pricepoint that scales surprisingly well. Japanese/Korean messaging service Line is banking upwards of $10 million per month from the sale of sticker packs to its 230 million plus registered users. Line’s story is similar for others — which don’t release figures in public — and most Asian messaging firms lean on sticker sales, and other strategies to make money. In terms of US firms, Path has seen some success, but it has not provided any raw figures to substantiate that. The company told TechCrunch that it made more money during the 24 hours after it launched stickers in March than it had done during any day previously. Without details of revenue based on geography, it is impossible to know if that spike was down to its fast-growing but enthusiast minority of users in Asia, or whether US-based Path users shelled out for stickers. This, for me, is the most critical part. Stickers are a frictionless way to monetize a service. By that I mean that they do not immediately disrupt the user experience by serving adverts, forcing video plays or using other forced ‘interactions’ that might serve to draw revenue from sponsors. Stickers are not intrusive and can keep an app priced free. So, if, like me, you use the free stickers but are not particularly fussed about growing an arsenal of the latest and greatest branded images, then paid-for stickers don’t disrupt your usage of an app in any way. The user experience on messaging apps is particularly crucial since each app is either replacing or innovating on SMS, a service that is the definition of simplicity. The fact that there are plenty of rival apps ready to offer a cleaner and less disruptive service to users means app makers must be careful to keep the user experience pleasing while monetizible — stickers can deliver on both fronts. But…can paid-for stickers really work outside of Asia? But — and you know there has to be a but — there is a question mark around whether the business model can actually draw meaningful revenue from users who are based outside of Asia. 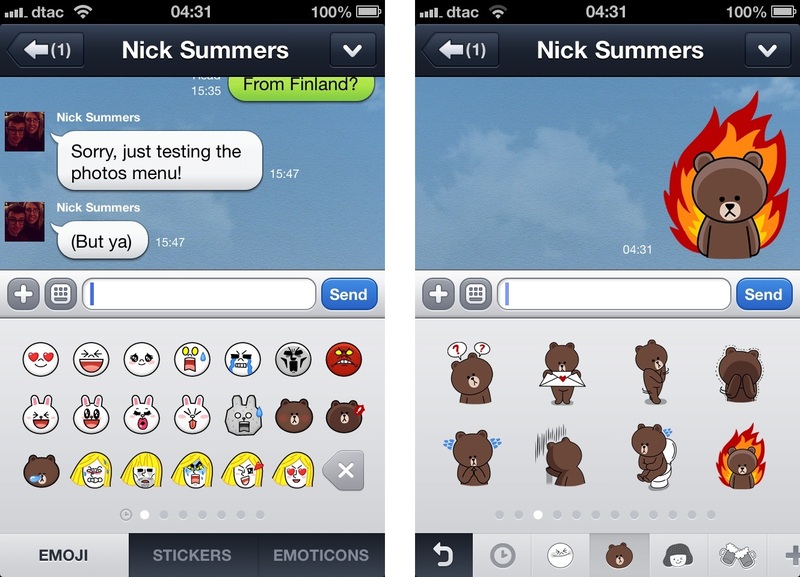 Line, which is rightly heralded as the best example of sticker-based revenue, draws most of its income from Asia. In fact, a whopping 80 percent of its global Q1 2013 income came from Japan alone — but that includes its other revenue streams. The fact that Facebook and other high profile apps have already brought stickers to Western markets suggests that, with the stickers from popular brands on offer, the model might have money-making potential worldwide. It isn’t the only business model, of course. Messaging market leader WhatsApp uses a $0.99 per year subscription model, while many companies form and take a cut from partnerships with operators, who offer bundled all-you-can-eat deals to their customers. The growing alternative is to build out content platforms that offer more services, and opportunities to monetize users. Hence Tango, Line, Kakao Talk, Kik and others are pursuing a platform strategy that sees them offer games (in-app purchases) and other services that are tied into their core messaging services and the friendship graphs there. Given all of the above, when it comes to obvious monetization strategies, it’s easy to see just why stickers has become the first step for many companies.